Well we thought, what’s a better way to discover the kooky characters we have behind the scenes in A&D, starting with Junior Sous Chef, Pedro Passalacqua. 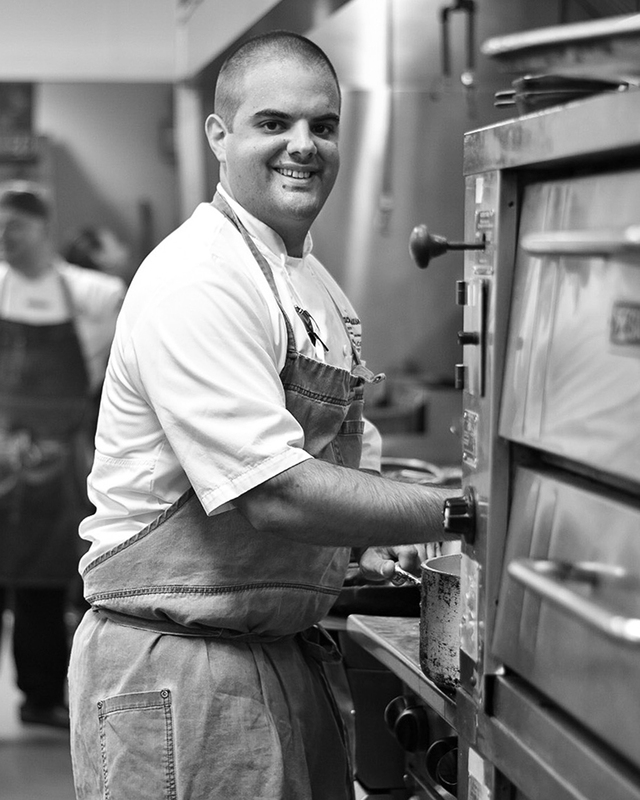 Pedro has been a part of the culinary team from the beginning, whether you’re one of our regulars at our Boulangerie Brunch or maybe you’ve stopped by for an El Mercat Tapas Night, you will probably have spotted this smiley face on the charcuterie station. When he’s not on the floor you will find him soldier strong, leading the team on the line, which let us tell you, can be an intense place to be! When you first have an encounter with Pedro you’re automatically pulled in by his Argentinean charm and his serious love for food, family and scotch! Read his take on the Proust Questionnaire. 1. Who is your ultimate hero? 2. What’s your favourite cuisine? Comfort food, whichever food makes me remember why I fell in love with cooking. I believe I have greater things to come, but so far being part of such a great team in this hotel and being able to do what I love every day. 4. What’s the most important possession you own? Being surrounded by family and friends, sharing a table. 7. Your favourite ingredient in the kitchen to use? 8. In contrast, what do you consider the most overrated ingredient? 9. What is your most prominent characteristic? Hard-worker and always pushing for more. 10. What do you value most in people? 11. If your friends described you in one word, what would it be? 12. What is your favourite thing to eat? 13. What is one of your fondest memories? Both my grandmother's cooking, home-made gnocchi or milanesas. 14. Where is your favourite place in the world? Whereever my friends and family are. 15. What do you think are the essential qualities that make a good chef? To be open to new ideas, push boundaries, try everything, not be discouraged. 16. What do you have in your fridge at home? 17. What is your most common phrase? "Really???!!!" and another phrase I can't repeat. 18. What is your state of mind when cooking? 20. What is a talent you wish you had?